First of all, let me reiterate, it was just a quiz and NOT a recommendation of any kind (buy/sell/hold). The purpose of this quiz is to make some of the readers go through the numbers. If someone reads this as a tip or recommendation then the whole purpose will be lost. We received several responses. It has come on the blog, twitter, email, and whatnot. We are glad to receive them, as always. Thank you for your active participation. Many of you answered it correctly though some of you got confused with Arrow Greentech, Lasa Supergen, Time Technoplast, Harita Seating, Tata Global, JHS Svendgard and HUL. If you could not answer it correctly then also it is fine as long as you tried. What we need to do is to understand the parameters that we missed and that caused a wrong answer. The information herein is used as per the available sources of bseindia.com/nseindia.com, company’s annual reports & other public database sources. Aurum Capital is not responsible for any discrepancy in the above-mentioned data. Investors should seek the advice of their independent financial advisor prior to taking any investment decision based on this report or for the necessary explanation of its contents. Future estimates mentioned herein are personal opinions & views of the analyst. Analyst Name – Niteen S Dharmawat. 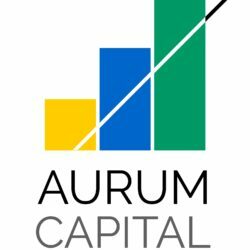 For queries/grievances – support@aurumcapital.in. SEBI registration No: INA000011024. Readers are responsible for all outcomes arising of buying/selling particular scrip/ scrips mentioned herein. This report indicates the opinion of the author & is not a recommendation to buy or sell securities. Aurum Capital & its representatives have vested interest in above-mentioned securities at the time of this publication, and its partners/company have positions / financial interest in the securities mentioned above. Aurum Capital or its associates are not paid or compensated at any point of time, in last 12 months by anyway from the companies mentioned in the report. Aurum Capital, or its representatives do not have more than 1% of the company’s total shareholding. Ownership of the stock: Yes. Served as a director / employee of mentioned companies in report: No. Any material conflict of interest at the time of publishing report: No. The views expressed in this post accurately reflect the author’s personal views about any and all of the subject securities or issuers; and no part of the compensations, if any was, is or will be, directly indirectly, related to specific recommendation or views expressed in the report. Can you identify the company? I have provided some clues to help you decipher the name of the company. The interesting part is one of the global funds was holding more than 1% till Mar 2018 is no more in the list of 1% category in Jun 2018 quarter. This fund was holding for a long time. If we research more then we come to know that this global fund is acquired by another fund in Dec 2017 and selling by them started after the Mar quarter. One of the possibility is that the mandate for the fund could have changed. The stock started recovering from August onwards. Was it because the selling of the fund got over or is it because of the general mood of the market? Let’s name the stock. We will let you know the name of the company by next week. Till then we look forward to your response.